Windex Trigger Glass Cleaner - Spray - 0.25 gal (32 fl oz) - 1 Each - Welcome to TABS! 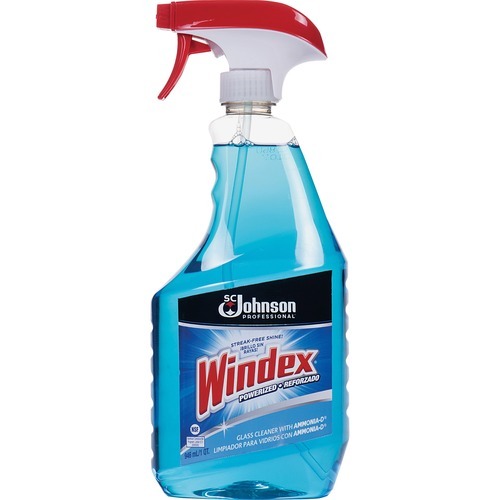 Windex cleans windows and other types of glass as well as stainless steel, chrome, mirrors, enamel, ceramic tile and porcelain. Glass and multisurface cleaner contains a special glass cleaning formula with exclusive Ammonia-D that leaves glass surfaces sparkling clean with no streaking or film. Included attached trigger sprayer makes application easy. Windex cleans windows and other types of glass as well as stainless steel, chrome, mirrors, enamel, ceramic tile and porcelain. Formula does not contain phosphates.